This week’s NME sees the mighty return of Kasabian – we step inside their insane new album ‘West Rider Pauper Lunatic Asylum’. Plus, find out what really happened when Pete and Carl reunited last week at the Libertines reunion. This week’s new music section is guest edited by Radio 1’s Annie Mac. Her recommended acts include ghetto-funk supremos Major Lazer, Scouse art-disco types Wave Machines and more. The Twang, Manic Street Preachers and The Lemonheads are among the acts we recommend in 10 Tracks You Have To Hear This Week. Find out if Little Boots‘ debut album lives up to the hype. 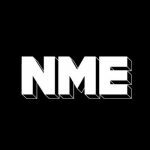 NME takes a trip to the seaside as the best new buzz bands hit the south coast for The Great Escape.